$2500 | $1250 | Call! $2640 | $1320 | Call! $2960 | $1480 | Call! $3060 | $1530 | Call! $3760 | $1880 | Call! With the Simmons Beautyrest Silver Hybrid Cascade Mist Firm mattress, you get the best of both worlds. 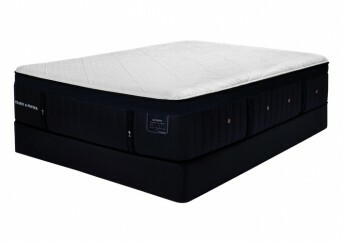 Comfort and temperature control with the DualCool Technology Memory Foam and excellent contouring with the renowned Beautyrest Pocketed Coil Technology. Categories: Comfort Level 30, Firm, Mattresses, Silver Hybrid. Evenloft Cover- The Evenloft cover allows the memory foam layers to conform to your body and has a sleek, flat, elegant surface. DualCool Memory Foam Technology- Enhanced with real silver, this soft foam is designed to draw heat from the surface of the mattress for maximum temperature control. With the use of silver, this fiber contains antimicrobial properties that prevent the growth of stain and odor-causing bacteria, mold, and mildew so, your mattress stays fresh. 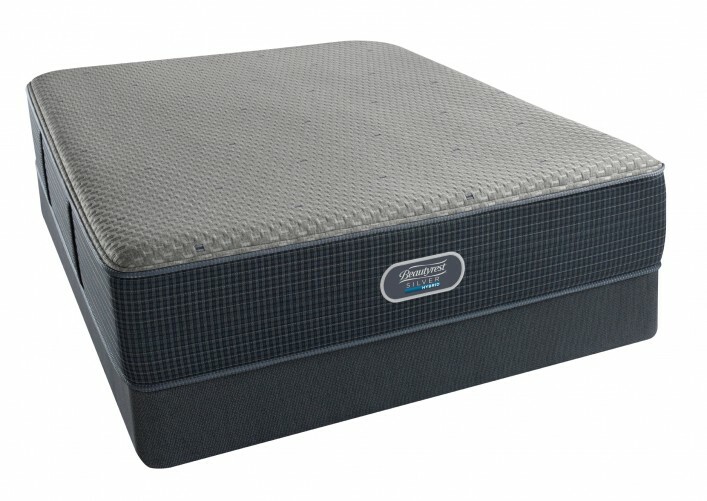 Dynamic Response Memory Foam- Exclusive to Simmons, this specialized Italian foam works in concert with Advanced Pocketed Coil Technology to create the most conforming back support and pressure relief available from Simmons. 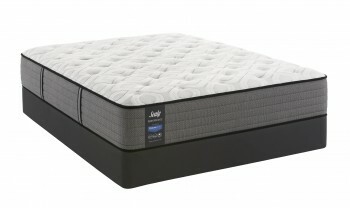 1000 Density Beautyrest Pocketed Coil Technology- Beautyrest pocketed coils provide the best conforming properties and pressure relief in the industry. With hundreds of individually wrapped coils, you can sleep comfortably and undisturbed with individualized back support and premium motion separation. Triton Foundation With PowerBeam Bracing- The Triton foundation is incredibly durable and supports you and your mattress while reducing motion.